South Kesteven District Council is flying the rainbow flag at St Peter's Hill to mark LGBT History Month throughout February. The Leader of the Council, Councillor Matthew Lee said: "We are proud to fly the rainbow flag in South Kesteven to recognise LGBT History Month. 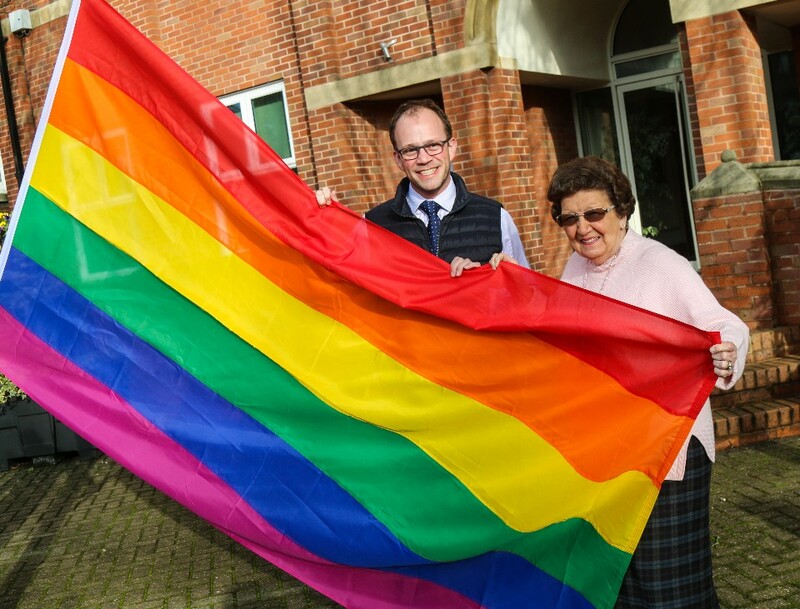 "The flag-raising is a symbol of the Council's support for the LGBT community and to celebrate and recognise the achievements and rights of lesbian, gay, bisexual and transgender people." Councillor Lee attended the flag raising ceremony with the Cabinet Member for Communities, Health, Wellbeing and Skills, Cllr Jacky Smith.